THE HORIZON GROUP WAS FOUNDED IN KAOHSIUNG, TAIWAN BY JOHN LU, A SUCCESSFUL NAVAL ARCHITECT WITH A LIFELONG PASSION FOR BOATS AND THE SEA. LU'S MISSION WAS CLEAR AND REMAINS UNCHANGED TO THIS DAY: TO BUILD THE ULTIMATE DREAM YACHTS FOR HIS CLIENTS. 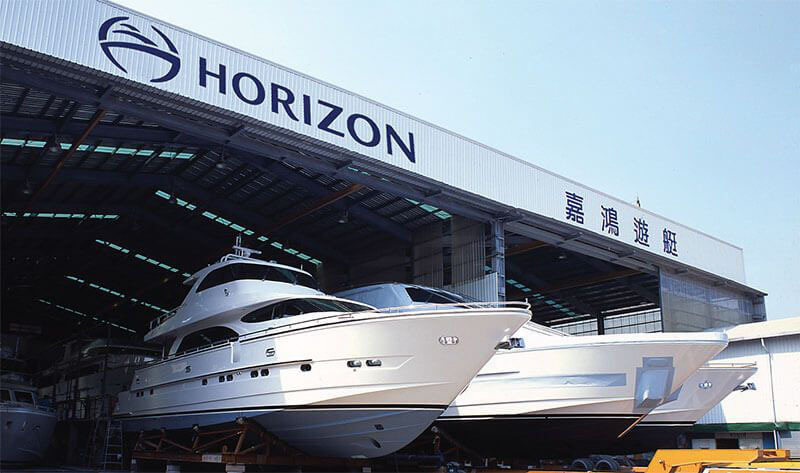 Soon after the Horizon Group was founded in 1987, Taiwan's prospering yachting industry experienced an unexpected recession. 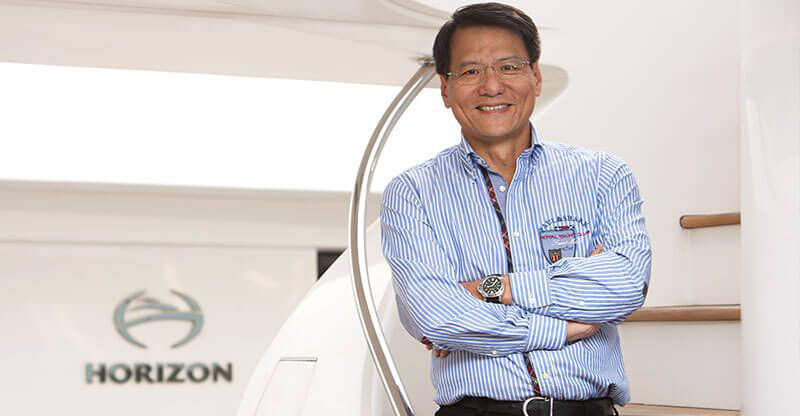 Undeterred, Horizon's founder and CEO John Lu made critical decisions over the next decade that served to keep this builder at the forefront of the very competitive yacht building industry. In 1989, Horizon shifted its business strategy to target the European, Australian and Asian markets. The company then redeveloped its yacht construction process, voluntarily complying with the stringent quality and safety requirements set by Europe and Japan. As a result, Horizon quickly earned a distinct reputation for building yachts of exceptional quality and value compared to its European counterpart. In 1993, Lu capitalized on the increasing demand for quality megayachts at a competitive price and made the critical decision to begin building yachts over 80 feet. When the shipyard encountered limits on the production scale, Lu focused on increasing the yard's capacity through implementing specialized processes and improving overall product quality. Over the years Horizon continued to expand, securing a position as the leading Asian yacht brand in the luxury megayacht market. Between 2000 and 2005, Lu focused the company's attention on building a comprehensive range of yachts while assigning a build concentration to each of Horizon's four subsidiaries under the Horizon Group umbrella: Horizon shipyard, Vision shipyard, Premier shipyard and Atech Composites. Today, the Horizon Group continues to be known for its wide range of award-winning yachts designed and constructed with sophisticated craftsmanship, superior build techniques, and innovative technologies.